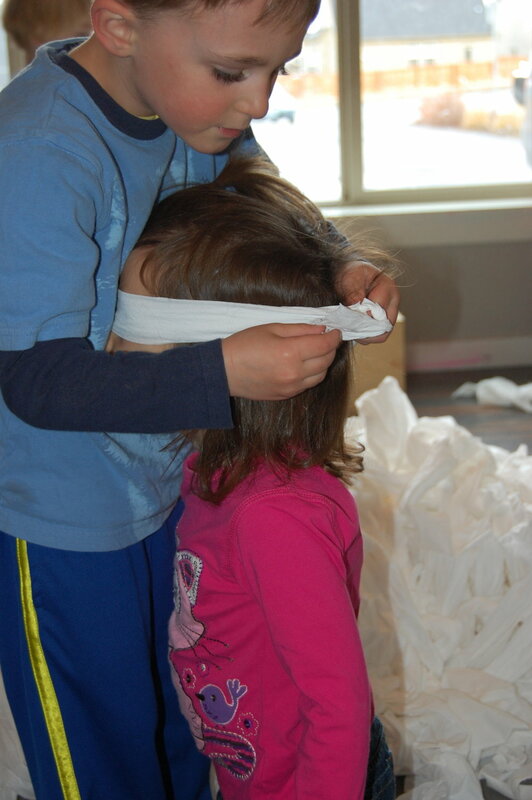 Many of you may have experienced the joy of allowing children to unroll and frolic in a roll of toilet paper. Well, although it is not an idea original to us, we make it the habit of periodically presenting the children with OODLES of toilet paper. What could be more fun?! 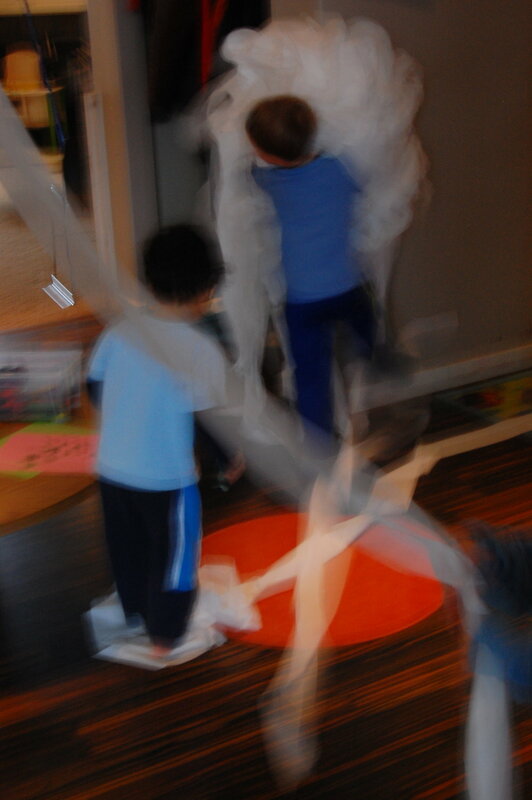 Although the pictures are blurry (children in vigorous action), and although the camera was only present for a few brief moments of the TP fun, the pictures below should give you a tiny glimpse of the joy to be had unrolling toilet paper. PVC pipes were hung by rope from the ceiling. Twenty rolls of toilet paper then slipped onto the PVC pipes provided much unravelling fun. Bundles of toilet paper are carried all over the school. Just imagine...all that can be played using toilet paper. A blindfold (above). A landing pad for jumping into. Wrap for a mummy. As children will show you...the ideas are endless. In our school, the toilet paper remains in use for several days. Sometimes it is even turned into other things, such as clay. At home, just pull out a roll or two, hand it to your child, and see what is to come.